Katie Holmes is one grateful mom. The actress, 37, shared several sweet photos taken at her mother Kathleen’s surprise birthday party on Sunday. 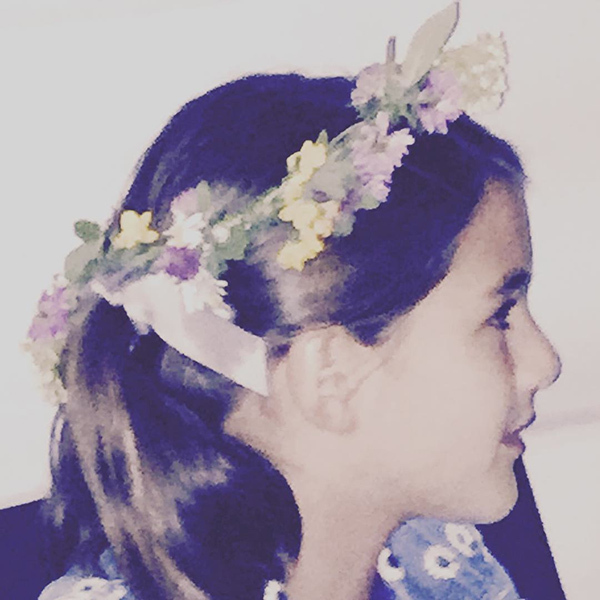 In several photos, Holmes expresses her love and appreciation for her 10-year-old Suri Cruise. In another post from the festivities, Holmes is seated with a blissful smile on her face as she cuddles with her daughter and another little girl. “#gratitude #littleangels #blessed,” she captioned the photo. And Holmes ended the series of adorable family photos with a particularly sweet moment between the mother-daughter duo. “#blessed #goodnight #gratitude #happybirthdaymom #family #love,” she captioned the photo of Suri nuzzling up against her mom. Holmes shares her daughter with ex-husband Tom Cruise. The couple were married in 2006 and Holmes filed for divorce in June 2012. Katie Holmes and Suri Cruise don’t want to grow up. The actress took her 10-year-old daughter and mother, Kathleen, to a Broadway show for a girls’ night out in New York City on Saturday. The group headed to a performance of Finding Neverland, which tells the story of Peter Pan creator J.M. Barrie, before meeting the cast backstage. Suri was beaming as they posed for a photo with the costumed actors, including a dancer who portrays Peter Pan. The daughter of Tom Cruise wore a cute yellow and white daisy-patterned dress paired with a glittery bow headband. Holmes, 37, donned a chic casual look, pairing a simple skirt and shirt with a camel-colored hat. Alongside the show, the girls’ weekend included a trip to famous N.Y.C. dessert hotspot Serendipity 3. “We came. We conquered! #serendipity3 #familylove #gratitude,” the former Dawson’s Creek star wrote on Instagram next to a photo of their envy-inducing sweets spread. Related Video: WATCH: Suri Cruise Celebrates Her 10th Birthday! Holmes was recently photographed shooting the upcoming Reelz Channel miniseries The Kennedys: After Camelot in which she plays Jacqueline Kennedy. She previously played the iconic first lady in 2011’s The Kennedys. It looks like Suri Cruise and mom Katie Holmes are taking some time off from their directing duties. On Friday Holmes, 37, took to Instagram to share two photos of Cruise in a flower crown, apparently taken while the two were hanging out on the set of Holmes’ forthcoming REELZ film, The Kennedys: After Camelot. Accompanying each photo, Holmes posted a string of joyful emoji — hearts and flowers. Celeb Moms Spill: No Mother Is Perfect, and That’s Okay! Back in April, we reported that Tom Cruise had not seen his daughter Suri in 1,000 days. Now, he's reportedly inching close to the three-year mark with no apparent plans to break his shameful streak of negligent parenting. 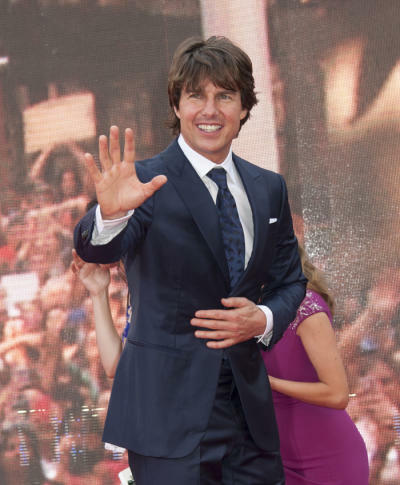 Sources say Cruise justifies his abandonment of Suri through Scientologist directives that require Church members to cut ties with those who have abandoned the faith (known in CoS jargon as "suppressive persons"). Cruise refused all contact with ex-wife Katie Holmes immediately after she left the Church, and sources say he gradually distanced himself from Suri until he reached the point of having zero contact with his with his youngest daughter. “They used to Skype and text, but that trailed off drastically,” one insider tells In Touch. Many who were formerly close to Cruise speculate that he was eager to remove Holmes from his life, and his relationship with Suri was simply collateral damage. It seems there was a time when Cruise wanted 10-year-old Suri to be "reformed" by attending a school for Scientologist children. Not surprisingly, Katie doesn't want her daughter to have anything to do with the Church. 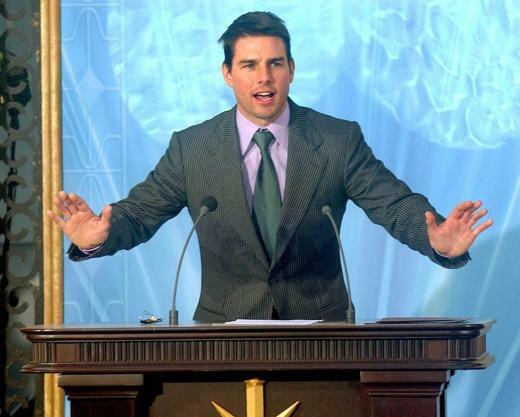 As a result, Scientologist leader David Miscavige reportedly gave Cruise all of the justification that he needed to cut off contact with his daughter. “Tom eats, breathes and sleeps Scientology,” one insider states. "Miscavige would have hammered home to Tom that Suri has been infiltrated by a bad Thetan,” says former Scientologist and Cruise associate Gary Morehead. Cruise has yet to respond to claims that he's abandoned he's not longer a part of his daughter's life. Luck of the Irish or luck of the Katie Holmes? The actress and her daughter Suri Cruise were spotted taking in the Notre Dame vs. Stephen F. Austin collegiate basketball game in Brooklyn on Sunday. The mother-daughter pair were front-and-center at the nail-biting game as Notre Dame’s Rex Pflueger tipped-in the ball with 1.5 seconds left, sending the Fighting Irish to the Sweet 16. Holmes, 37, dressed in a casual attire sporting a white sweater and pair of jeans while Suri, 9, bundled up in a pink jacket and matching sweater. Also trending online was Holmes’ fierce game face during the Notre Dame-SFA match. CBS Sports cameras caught the A-lister scowling as she watched the 6-seed and 14-seed team duke it out.